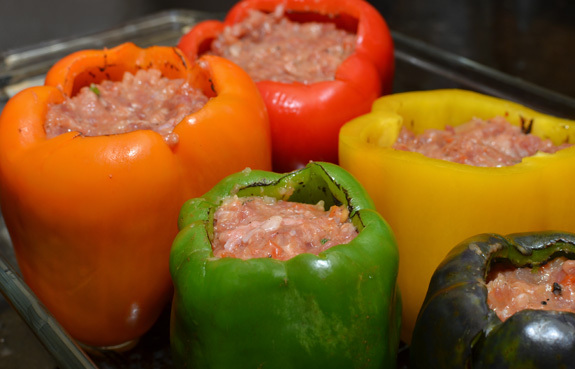 Home Tags Posts tagged with "peppers"
So you spent your summer preparing exotic shashlyks on the mangal. Making a döner kebab holds no secrets for you anymore. You’ve mastered the art of the lyulya-kebab, whether with meat or potatoes. And now you’re wondering: what else could you possibly put on a skewer to further defy gravity? 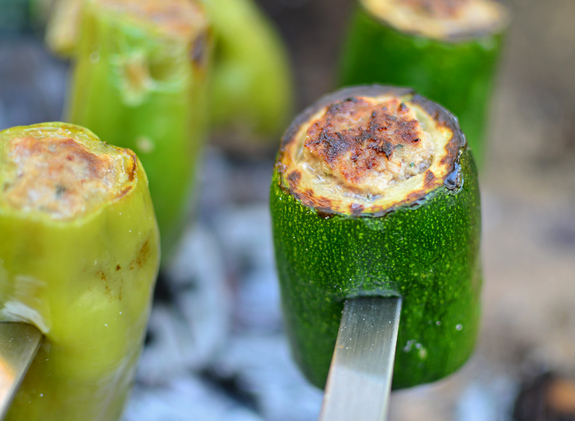 How about stuffed vegetables, skewered transversely with their stuffing hanging dangerously over the hot coals? This is more than just a dare, of course — it also makes for a delicious kebab! The idea again comes from Stalik Khankishiev, who briefly mentions it in Bazar, Kazan i Dastarkhan without giving an exact recipe. Thanks to yours truly, you’ll now have exact proportions and instructions, and you don’t even need to learn Russian. It may be hard to imagine when you’re eating lamb kebab after lamb kebab in Azerbaijan, but there are a lot more dishes in the national culinary repertoire. 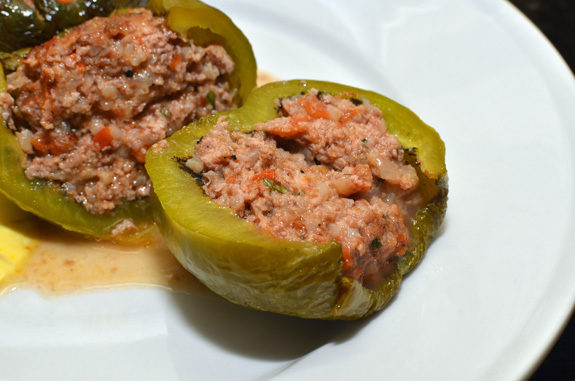 In Baku, you can reasonably expect to find excellent meat dolma, which are vegetables (peppers, tomatoes, zucchinis or onions) stuffed with a mixture of rice and ground lamb, often served with a yogurt sauce. This is a simple dish, and yet in many recipes it ends up being too dry or just lacking flavor, often because the authors don’t bother telling you how to best cook the rice, or what piece of lamb to use (when they don’t substitute ground beef out of laziness). I went through countless iterations to maximize the airiness, juiciness, and, of course, flavor, and the results are finally here. Enjoy! 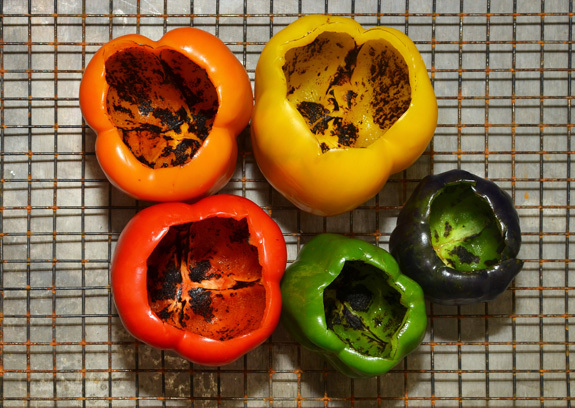 Different colored peppers will give you a different taste, so choose your favorite. I picked an assortment from the Union Square Greenmarket. For the seasoning, I love Urfa pepper for its fruity and smoky taste, but you can replace it with chili pepper flakes. In a saucepan over medium heat, reduce the stock by half. Add the rice, top with the onion, garlic, and tomatoes, cover with a lid and cook for 15 minutes over low heat. Remove the lid, discard the skins from the tomatoes, and cook over medium heat until the liquid is fully absorbed, stirring regularly. Let cool completely. 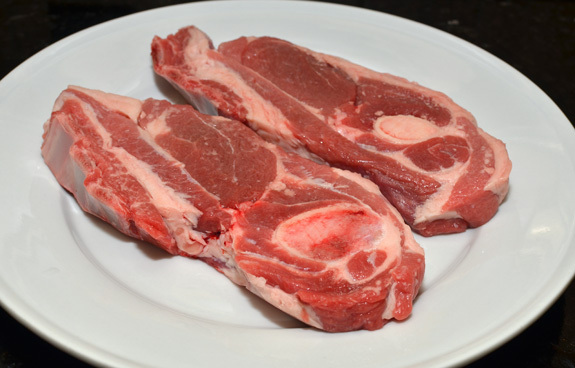 Coarsely chop the lamb meat, keeping all the fat — I even include the bone marrow when I have some. Process in a meat grinder using the large die, then transfer to a bowl and mix with the tarragon, salt, Urfa pepper, and rice mixture. Grind once more with the large die, and refrigerate. 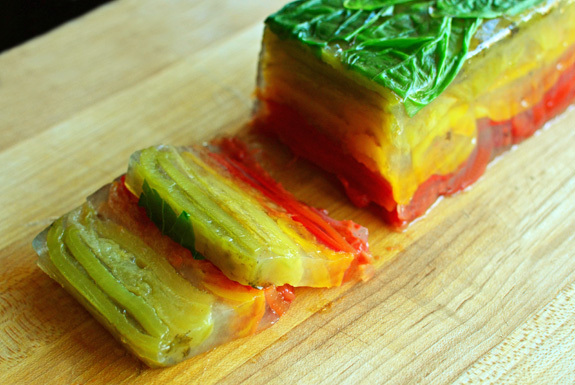 Cut off the tops of the peppers, and carve out the cores, membranes and seeds. Char the insides with a blow torch until they look as pictured below (this is not absolutely necessary, but it adds some, uh, charred flavor). Fill the peppers with some well-packed stuffing (the rice already keeps the dolma airy), place in a dish brushed with the olive oil, and cook in a 300 F oven for about 90 minutes, until their internal temperature reaches 160 F. The exact timing will of course depend on the size of the peppers. Some varieties of peppers also require more cooking than others — I found that my green peppers were still crunchy when my red ones were perfectly done, but I don’t claim any scientific basis! What you can do is blow-torch the outside of the peppers a bit, either before putting them in the oven or after taking them out. 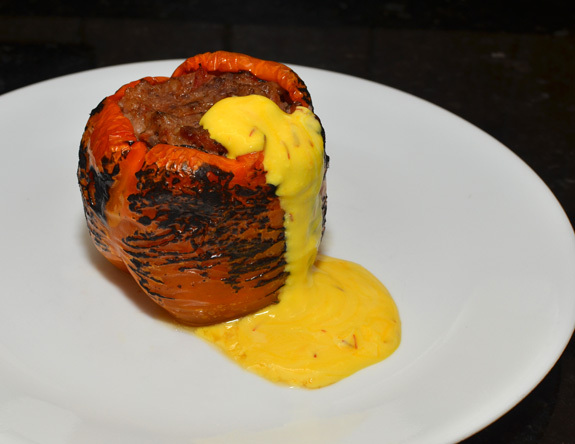 Let the peppers rest for 5 minutes and serve with some saffron yogurt. 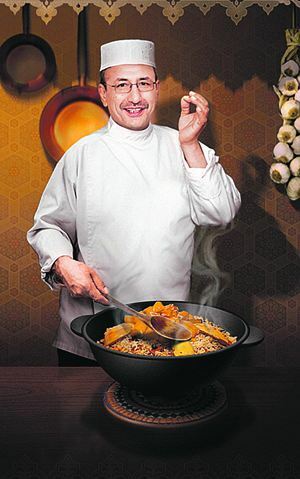 In a bowl, mix the yogurt with the saffron and salt, and let rest at room temperature for about 1 hour. Stir before serving.